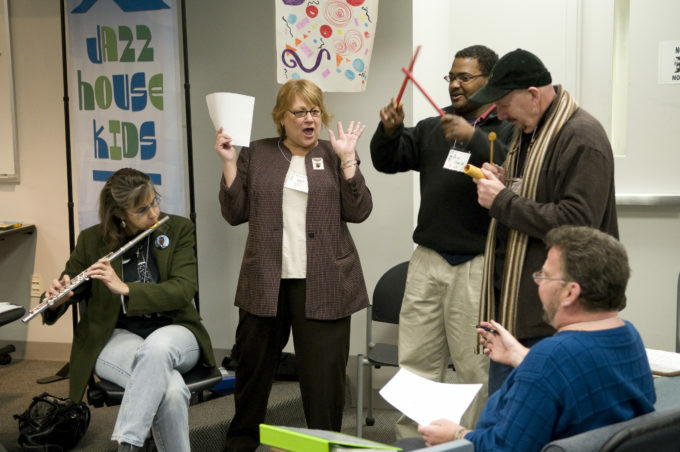 The Jazz Across the Curriculum Teacher Workshop is an in-service session that provides educators across all academic disciplines with strategies for using jazz as an effective teaching tool in their classrooms. The workshop illustrates jazz concepts, provides sample lesson plans, and offers classroom experiences designed to reinvigorate school curricula by incorporating the essential element of jazz — creative exploration — into all subjects. For more information, please contact the Education Department at info@jazzhousekids.org or 973-744-2273.